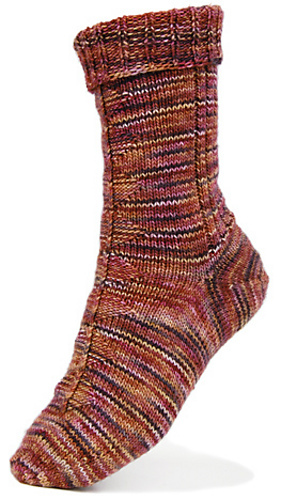 This sock pattern is one of 28 in my ebook, Personal Footprints for Insouciant Sock Knitters. My Personal Footprint method is fun and easy, and captivates even seasoned sock knitters with its innovative approach and ease of fitting any foot. It is ideal for normal feet as well as feet with unusually high or low insteps, and heels of all sizes and shapes. and subtle enough to pass muster with most men.